"If you have a problem, and need help solving it right the first time, then why fight with the rest and call the best." Make Your Valentine's Day Union-Made! Tippecanoe,Benton,Carroll,Cass,Clinton,Fountain,Warren,Montgomery and White counties in Indiana. 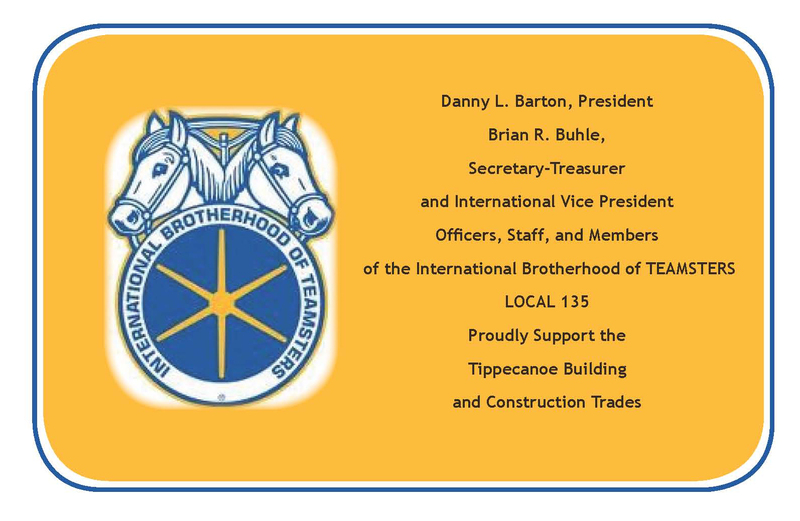 17 trades associations that make up the Tippecanoe Building and Construction Trades Council. or helping the local food pantry just to name a few. opportunities.Please look over our web site and use it as a reference for your future projects.